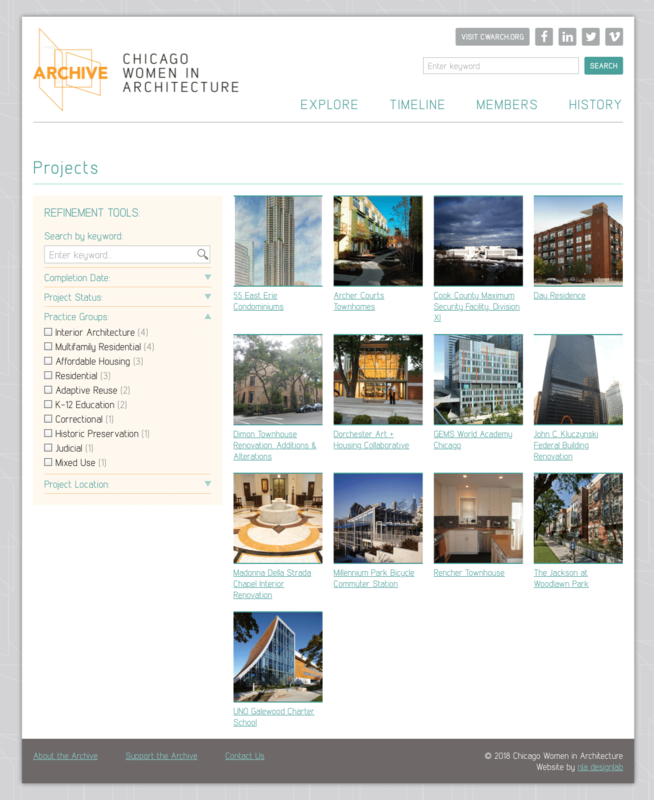 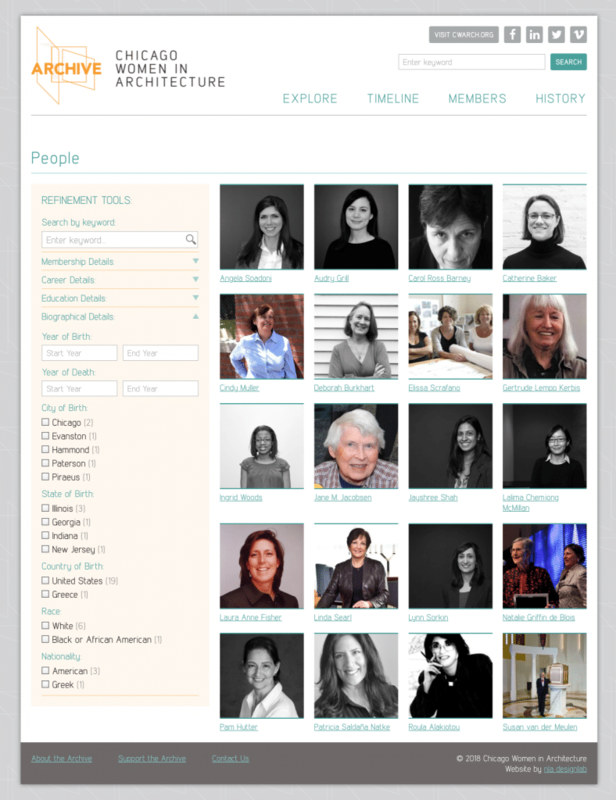 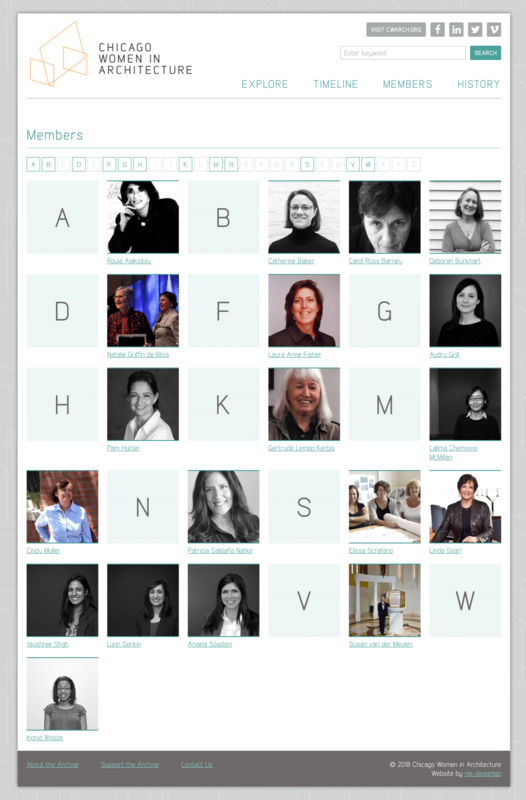 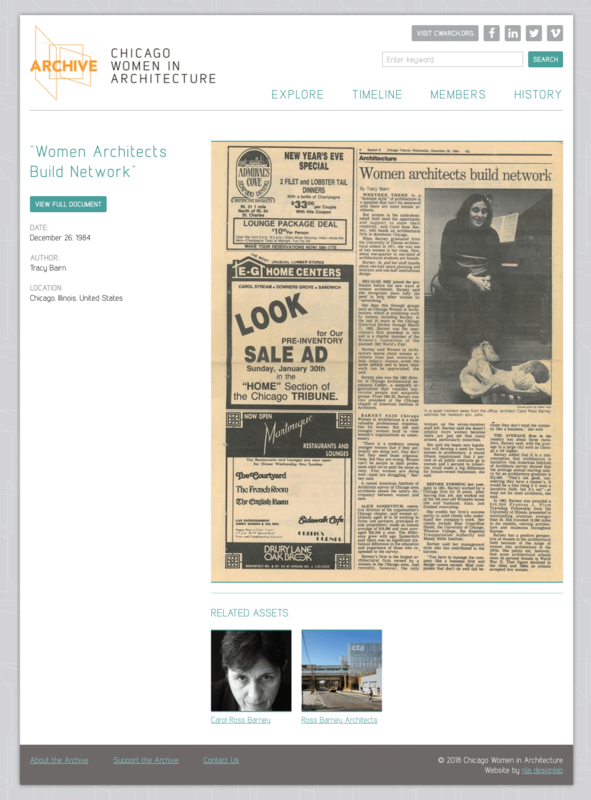 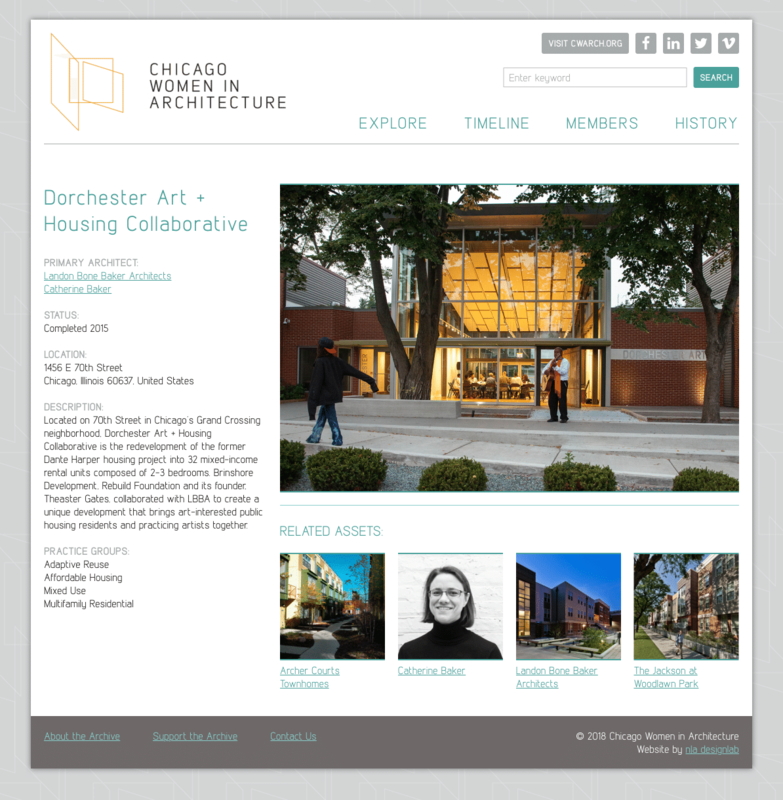 The CWA Archive is an online repository of historical documents for the Chicago Women in Architecture (CWA). 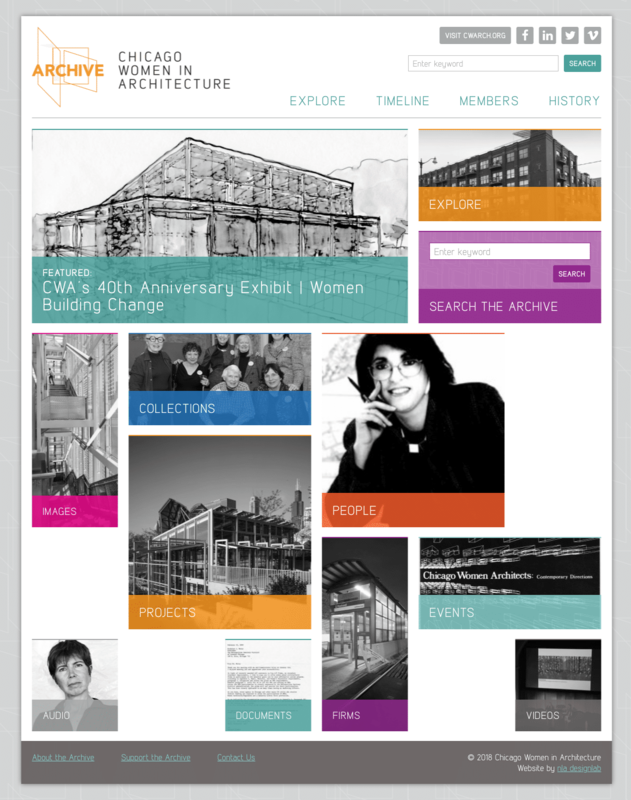 The archive was created as part of CWA’s 40th anniversary. 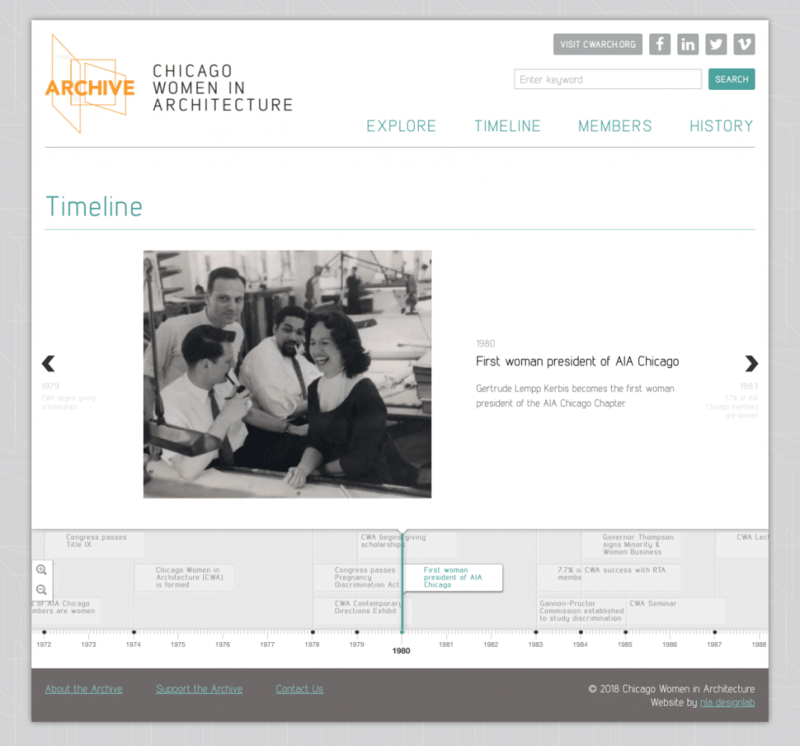 I worked with CWA leadership to identify, categorize, and detail the initial contents of the archive. This effort yielded the overall structure for the website, as well as identifying the interdependencies of the content. 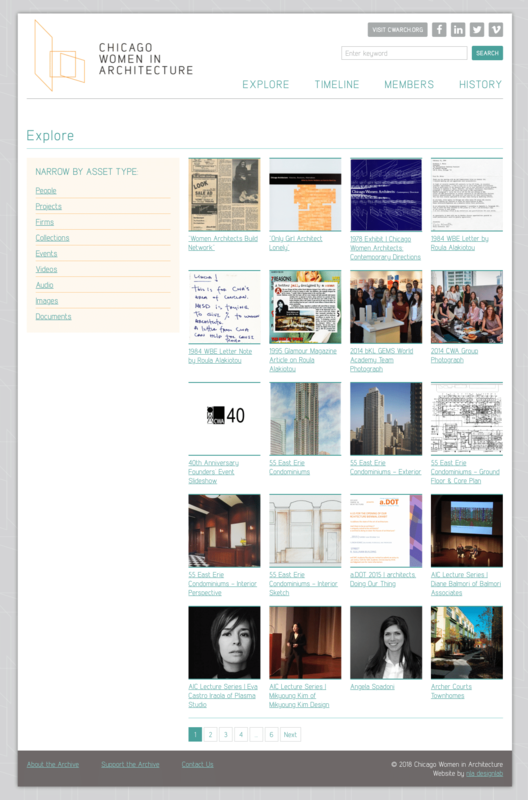 Using that information, I created a visual presentation system that allows archive categories to be searched and filtered based on specific pieces of data, and allows users to browse related content for each archive item.